1944 photos of Saipan - taken during the battle. These include photos of the amphibious assault and the life of Seabee grunts who shuttled ammunition and gasoline barges between supply ships and the beach. These photos were taken by a military photographer and given to David Moore. 1996 photos of Saipan - taken by David Moore during a visit to many of the same the places he saw in 1944. These include the beach, the war memorial, the site of the last major battle, and the suicide cliffs on the North end of the island. These places are described in the article above. US Navy F6F Fighter Pilot's Experiences - Norm Stark served as a US Navy F6F Fighter Pilot in the Pacific during WWII. Norm remembers various missions, attacks and dogfights as well as the stress of flying alone for hours in "pea soup," friends being shot down, and his own experience "in the drink" where he learned that your true worth is 10 gallons of ice cream. Norm is a boyhood friend of David Moore. US Army Air Corp Glider Pilot Experiences - Ray Bean served as a glider pilot and C47 pilot in Europe. Ray ferried men and supplies into many major battles including Normandy, Holland, and the Battle of the Bulge. There was no room for error in flying a military glider - you were either very good or very dead. Prostate Cancer, A Case Study - David Moore's experience in handling prostate cancer. The article summarizes the important points of prostate cancer so that all men may have a better understanding of the problem and can ask their doctors effective questions. As a group, retired military men are older and should pay attention to this health problem to collect on their well deserved retirement. Home Care Support Information: Caring for a Loved One at Home - a 27 page article full of practical tips and ideas for caring for an incapacitated loved one in your home. David Moore shares his experiences in caring for a loved one who could not walk and could barely talk. Hopefully, you can benefit from these experiences and techniques that were learned along the way. · Order a full color printed copy of the article at nominal charge directly from Office Outlet Publishing, 307-367-6763. 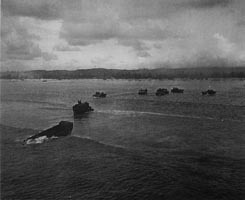 This site is dedicated to preserving stories and information about those who served in WWII, especially information about Seabees and the Battle of Saipan. You might also be interested in David Moore's companion site regarding research on the Roman Pantheon and Roman concrete, www.romanconcrete.com, which includes portions of his book The Roman Pantheon: the Triumph of Concrete, which can be ordered there. or see his Bio for background information. This site is hosted by Wind River Web Services. Contact Clint Gilchrist at clint offout.com if you need web based commerce or information services.